These striking plants have a rounded array of sharply pointed, blue-gray leaves at the bottom, and an amazing flowering stalk that can reach as much as 26' (8 m) in height. The leaves can reach as much as 6' (1.8 m) in length, though specimens I have seen are half that size or less. They are extremely tolerant of drought. Identification: These plants are sometimes called century plants in the partially mistaken belief that they take a century to bloom, and die after the first bloom. It really does take about ten years to bloom under ideal circumstances, and up to 60 in cooler climates. And it really does die after it blooms, although shoots from the main plant continue to grow. Hence waiting for the unmistakable large stalk of yellow flowers may require more patience than you have. Besides, these aren’t even the ”real” century plants, Agave americana. 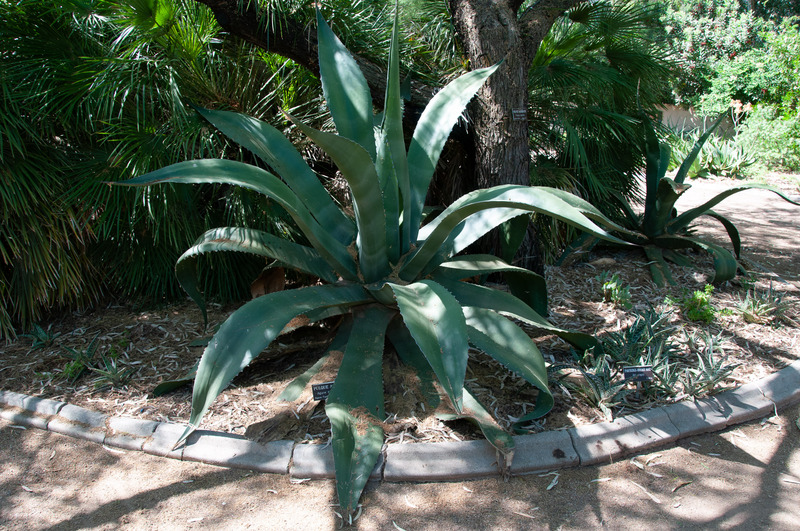 Plants are 5-6' (1.5-1.8 m) tall and 9½-13' (3-4 m) wide, with 20-30 leaves at the base. Leaves are 3-6½' (1-2 m) long and 10-14" (25-36 cm) wide, dark green to bluish gray-green. Leaf edges have fairly large teeth. Flower stalks are 23-26' (7-8 m) high, branched near the top into 15-20 branches. 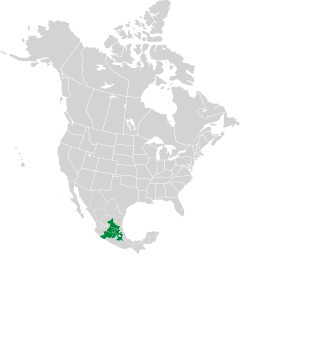 Agave salmiana description by Thomas H. Kent, last updated 2 Jan 2019.